Giving the People What They Want: Hemingway, Fitzgerald | Ooh Something Shiny! 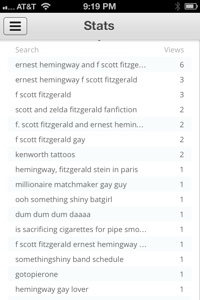 I’m not sure when my blog became the go-to for 1920s era American expatriate writers, but it’s kind of funny. I love to look in from time to time on what brings people to my blog. What searches lead people to your blog?